Position: Full-time (or Part-time) Pelvic & Orthopaedic physiotherapist position available (can be a mixed caseload). Available to start immediately to take on existing caseload. Lime Health and Wellness is a locally owned, multi-service physical rehabilitation clinic and skin rejuvenation centre. At Lime, we encompass today’s paradigm shift to wellness within a multidisciplinary, collaborative approach to health care. With a broad range of interest areas and diverse clinical backgrounds, our team of highly skilled trained professionals and support staff is dedicated to providing clinical expertise and exceptional customer service. We are looking for a full-time (or part-time) pelvic/orthopaedic physiotherapist to join our busy Downtown Lethbridge and YMCA clinic, to take on an existing caseload available May 2019. Applicants strictly seeking a pelvic caseload are welcome to apply! With private treatment rooms, one-on-one patient care with a focus on manual therapy and evidence-based techniques and a modern and attractive environment, our clinics are well liked by our patients, our referring physicians, and our therapists. 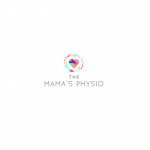 Registered Physiotherapist with at least 2 years experience. Professional and polished demeanor with patients. A “people-person” who cultivates a nurturing and enjoyable environment for both patients and staff. We succeed in attracting the best therapists not just because we offer very competitive compensation, but because we also offer an easy and enjoyable work environment staffed with exceptional therapists and friendly and knowledgeable administrative staff. Please submit resumes to amy@limeclinic.ca. We look forward to hearing from you!